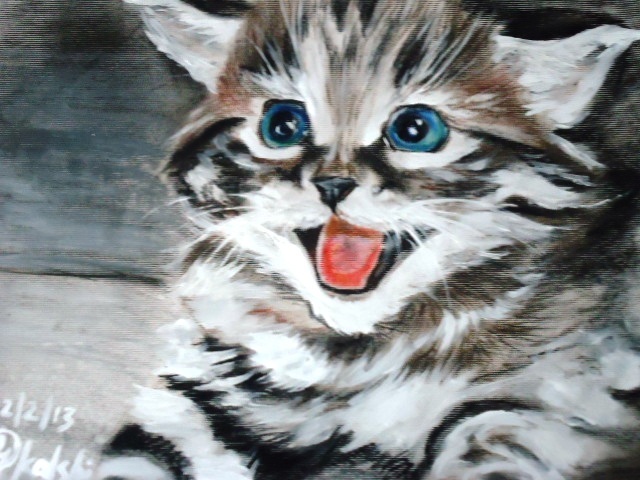 cat. . Wallpaper and background images in the Fine Art club tagged: art painting cat. This Fine Art photo might contain سے tabby, رانی, لہریا, ملکہ, بلی کے بچے, کٹی, ٹام, tomcat کے, and ٹومکت.